Our team is made up of some very well experienced entrepreneurs, that specialise in a range of different areas and expertise, to ensure the best solution is achieved for your business. Joven Demonteverde is the Principal Accountant of Accounts Maven, and an integral resource providing high level corporate expertise and top tier consulting practices to SME's and start-ups. 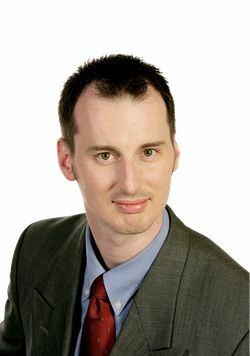 With over a decade’s experience as an accountant in both public practice and commercial industry, Joven’s expertise with financial and management accounting has led to significant improvements in business support processes and financial reporting for a variety of companies across several industries, entity structures, and business types. Joven's area of expertise is in the overhaul of accounting systems - utilising market-leading technologies to streamline accounting processes, establishing strong reporting frameworks, with the view to set up scalable solutions for a company's accounting function. Joven is committed to ongoing education and industry participation with current membership to the Institute of Chartered Accountants of Australia (ICAA), and a Bachelor of Business degree from the University of Technology, Sydney. Joven was also a regular contributor on Ask the Strategist, a weekly live radio show segment on Eagle Waves Radio throughout 2014. The strategists instantly provide workable solutions to the problems and opportunities asked by business owners on the show. The strategists have no prior notice of what issues they will be asked to deal with. Joven's corporate life is underpinned by his vision that “Effective financial management from Startup to Exit is essential for modern organisations and their leaders to succeed." John is a corporate strategist, operational expert and business commentator. John’s innovation, drive, tenacity and intelligence, together with his 20 years of experience across many industries and levels of management, means that he is very adept at forming practical high value solutions and strategies for his clients.